Favorite RV Aircraft Videos - Totally off Topic.... but fun! Video Categories: | Totally off Topic.... but fun! 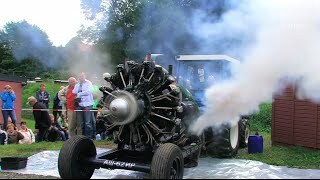 At a tractor meeting in Burkhardtsdorf, a big Russian radial engine from an Antonov aircraft was fired up for the participants. What sight and sound!